The pathology typically called “parental alienation” in the popular culture is NOT some “new form” of pathology. It is all standard and established stuff. Rejection of a parent is an attachment-related pathology. The attachment system is the brain system that manages all aspects of love and bonding throughout the lifespan, including grief and loss. Within attachment theory (Bowlby, 1969, 1973, 1980), this family attachment-related pathology would be considered a form of “pathological mourning” surrounding the divorce. The characterological inability of the narcissistic/(borderline) personality to process sadness and grief creates the “pathological mourning” and “deactivation of attachment behavior” in the family – in the child – through the child’s cross-generational coalition with this parent. This is not some “new form” of pathology. We already know exactly what it is. It’s just that many, most, almost all, current mental health professionals are simply incompetent. They are misdiagnosing the pathology. The personality pathology of the allied parent is the product of childhood attachment trauma (a disorganized attachment) that coalesced in late adolescence and early adulthood into their narcissistic and borderline personality traits. The rejection and abandonment by the attachment figure of the spouse surrounding the divorce reactivates the “internal working models” (the schemas) of the childhood attachment trauma for the narcissistic/(borderline) personality parent. “No variables, it is held, have more far-reaching effects on personality development than have a child’s experiences within his family: for, starting during the first months of his relations with his mother figure, and extending through the years of childhood and adolescence in his relations with both parents, he builds up working models of how attachment figures are likely to behave towards him in any of a variety of situations; and on those models are based all his expectations, and therefore all his plans for the rest of his life.” (Bowlby, 1980, p. 369; emphasis added). The “bystander role” is assigned to the various mental health professionals, attorneys, parenting coordinators, judges, and school personnel whose role becomes to validate and legitimize the false trauma reenactment narrative created by the narcissistic/(borderline) parent. The trauma-roles (the “internal working models” of attachment trauma) are all in place to reenact the childhood trauma of the narcissistic/(borderline) parent into the current family relationships. All that’s required to initiate the trauma reenactment narrative is to convince the child through manipulative communication techniques to adopt the role of “victimized child” relative to the parenting practices of the targeted parent. This is important to understand… the rejection of the targeted parent is not created by the allied parent “bad-mouthing” and saying negative things about the other parent. The child’s rejection of the targeted parent is created by convincing the child through manipulative techniques of subtle psychological influence and control to accept the role as the “victimized child.” The allied narcissistic/(borderline) parent gets the child to believe that the child is being victimized by the supposedly inadequate, insensitive, and “abusive” parenting practices of the other parent. This is accomplished by first eliciting from the child a complaint about the other parent through motivated and subtly directive questioning by the narcissistic/(borderline) parent. Once the child offers a criticism, no matter how small, the narcissistic/(borderline) parent then responds with distorted and exaggerated displays of concern regarding the supposedly inadequate and insensitive parenting practices of the other parent, thereby distorting the normal-range parenting practices of the targeted parent into supposed evidence of “abusive” parental inadequacy – “Oh you poor thing. I can’t believe the other parent treats you so horribly.” The key is to convince the child that the child is a “victim” of the other parent’s inadequate and insensitive parenting. But none of this created storyline is true. It is all a kabuki theater display of a false drama created in the childhood trauma of the narcissistic/(borderline) parent, embedded in the internal working models – the schemas – of this parent’s attachment networks. It is a reenactment of childhood attachment trauma into the current family relationships. None of this trauma reenactment narrative is true. The child is not a victim. The targeted parent is not abusive. And the narcissistic/(borderline) parent is not a protective parent. None of it is true. It is a fixed and false belief that is maintained despite contrary evidence. It is a delusion. An encapsulated delusion. An encapsulated persecutory delusion. It is an encapsulated persecutory delusion. This is called diagnosis. This is not a theory. The application of standard and established psychological constructs and principles – and, by the way, these are all scientifically validated and fully peer reviewed psychological constructs and principles – to a set of symptoms is called diagnosis. Diagnosis. This is not Dr. Childress saying this stuff, it’s some of the most respected figures in the field of professional psychology: Aaron Beck, John Bowlby, Otto Kernberg, Bessel van der Kolk, the American Psychiatric Association, and in a moment one of the top experts in personality disorder pathology, Theodore Millon. This is all standard and fully established stuff. This pathology is a delusional disorder – a shared delusional disorder. It is a psychotic disorder created by the psychological collapse of a narcissistic/(borderline) personality surrounding the divorce. “Under conditions of unrelieved adversity and failure, narcissists may decompensate into paranoid disorders. Owing to their excessive use of fantasy mechanisms, they are disposed to misinterpret events and to construct delusional beliefs. Unwilling to accept constraints on their independence and unable to accept the viewpoints of others, narcissists may isolate themselves from the corrective effects of shared thinking. Alone, they may ruminate and weave their beliefs into a network of fanciful and totally invalid suspicions. Among narcissists, delusions often take form after a serious challenge or setback has upset their image of superiority and omnipotence. They tend to exhibit compensatory grandiosity and jealousy delusions in which they reconstruct reality to match the image they are unable or unwilling to give up. Delusional systems may also develop as a result of having felt betrayed and humiliated. Here we may see the rapid unfolding of persecutory delusions and an arrogant grandiosity characterized by verbal attacks and bombast.” (Millon, 2011, pp. 407-408; emphasis added). This is NOT some “new form” of pathology. We absolutely understand exactly what it is. This is NOT some “new form” of pathology. We absolutely 100% understand what this pathology is. It’s simply that some – many – most – nearly all – mental health professionals are misdiagnosing the pathology because of their profound professional ignorance and incompetence. A psychotic disorder is sitting right in front of them in their offices, right there, in the chair right across from them, and they are entirely missing the diagnosis of a psychotic disorder sitting right in front of them. Incompetence, incompetence, incompetence. Profound professional incompetence. A psychotic disorder. Inexcusable. This is NOT some “new form of pathology.” We absolutely know what it is. It’s just that profound professional incompetence is entirely missing the diagnosis of a psychotic pathology that is sitting right in front of them. The pathology commonly referred to as “parental alienation” in the common culture represents an encapsulated persecutory delusion of a narcissistic/(borderline) parent that is being transferred to the child by the manipulative psychological influence and distorted pathogenic parenting practices of the allied narcissistic/(borderline) parent in a cross-generational coalition with the child. The pathology commonly referred to as “parental alienation” in the common culture represents the trans-generational transmission of attachment trauma from the childhood of the allied narcissistic/(borderline) parent to the current family relationships (through the creation of a false trauma reenactment narrative), mediated by the personality disorder pathology of the narcissistic/(borderline) parent which is itself a product of this parent’s childhood attachment trauma. It is an attachment-related pathology. It is a trauma-related pathology. It is a delusional-psychotic pathology. The complexity of this attachment-related, trauma-related, and personality disorder pathology warrants the designation of children and families evidencing this form of pathology as a “special population” requiring specialized professional knowledge and expertise to competently assess, diagnose and treat. 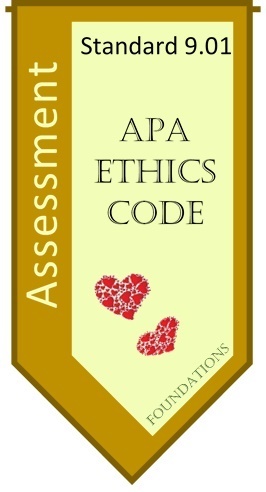 Failure to possess the necessary professional competence in attachment-related pathology, trauma-related pathology, and personality disorder pathology required to properly assess, accurately diagnose, and effectively treat this form of attachment-related, trauma-related, and personality disorder pathology would very likely represent practice beyond the boundaries of professional competence in violation of Standard 2.01a of the APA ethics code. Because of their profound professional incompetence, many, far too many, mental health professionals are colluding with the psychological abuse of children. Targeted parents must begin holding ALL mental health professionals accountable to standards of professional competence (Standards 9.01a and 2.01a of the APA ethics code). Mental health professionals are NOT ALLOWED to be incompetent. It’s not me saying this, it’s the American Psychological Association saying it. Mental health professionals are not allowed to be incompetent. All actively incompetent mental health professionals must be made to understand that they will – with 100% certainty – face a licensing board complaint for their professional incompetence when they fail to properly assess and accurately diagnose this form of attachment-related, trauma-related, and personality disorder pathology. I don’t care what the licensing board chooses to do. If they choose to collude with the psychological abuse of children by allowing professional incompetence, there is nothing we can do about that. But we need to make it clear to every single mental health professional that they are playing Russian roulette with their license. We will not abandon the children to professional incompetence. We will fight. We will fight with Standards 2.01a requiring professional competence, and we will fight with Standard 9.01a requiring appropriate assessment. These are the professional practice Standards of the American Psychological Association. These Standards belong to you. They are to protect you. Use them. Eventually, the licensing boards will begin to grow weary of colluding with professional incompetence, eventually the licensing boards will grow uncomfortable allowing the psychological abuse of children. We will not abandon your children. We will not stop and we will not relent until we have achieved professional competence in the professional assessment and diagnosis of this attachment-related, trauma-related, and personality disorder pathology. This is not a “new form” of pathology. We know exactly what it is. We just need an accurate diagnosis. This is not a child custody issue; it is a child protection issue. Sieswerda, S., Arntz, A., Mertens, I., and Vertommen, S. (2006). Hypervigilance in patients with borderline personality disorder: Specificity, automaticity, and predictors. Behavior Research and Therapy, 45, 1011-1024. Excellent article. I wonder why the initial experts with Gardner parental alienation syndrome do not get this. All the material is with support and in the DSM manual. Why do they choose to not help us? I just do not understand. I also do not see how the by standers do not see this severe pathology-even when some are made aware of the information. Thanks Dr. Childress for all you are doing and I will keep trying for my daughter and grandchildren. I just want the best for my grandchildren and for them to be ok and right now they are not ok but bystanders do not see this. They all think the adolescents are doing well and great kids. I don’t know. This is your fight, the fight of every targeted parent for your child, and the banners of the Gardnerian PAS experts are nowhere to be seen. They have abandoned you on the battlefield to fight this fight for professional competence on your own. I am your weapon, not your warrior. I am a lone psychologist in private practice. I certainly could use some help. But the banners of the Gardnerian PAS experts are nowhere to be seen on the battlefield. They have abandoned you to fight this fight for your children on your own. Why have none of them come out in favor of AB-PA? Why do they still maintain the eight diagnostic indicators of Gardnerian PAS that have produced no solution in 30 years, rather than actively advocating that all mental health professionals use the three diagnostic indicators of AB-PA that would create a solution today, this very instant? Why do they refuse to stand by your side in your fight to educate an ignorant and incompetent mental health system? The data is clearly evident, Bowlby, Kernberg, Beck, Millon. We absolutely 100% know what this pathology is. So why do they turn their back on the data? Why do they hold so firmly to a flawed and unaccepted model for the pathology? “Why do they choose to not help us?” – That question breaks my heart. But it is what it is. I guess we have to do this on our own, because we can expect no help from the Gardnerian PAS experts. I, for one, although I’m just a single lone psychologist in Southern California, I will fight with every ounce of my will and effort for your kids. A single voice that will not back down. I will not abandon your children. Dorcy has the intervention-solution, the High Road protocol, in her hip pocket once we begin to get an accurate diagnosis of the pathology. This is NOT a child custody issue, it is a child protection issue, and we will not stop until your children are back in your arms. But this is your fight. You must come together in an army of advocacy, thousands upon thousands, into a single voice for change. I have given you the weapons you need and have shown you the path. But you, all of you, must begin to fight for each other, must begin to re-own your voice and your power. In one voice you are powerless. In 100 you reclaim your voice, in 1000 you reclaim your power. In 10,000 you become an unstoppable force for change. Become an unstoppable force for change. Assessment leads to diagnosis. Diagnosis guides treatment. The point of the spear is assessment.